Donald Tardy was one of the first classic metal drummers I had the honor of sharing the road with. Obituary had been on hiatus for about 8 years before getting back together and setting up a reunion tour with another classic band Napalm Death. Oddly enough the bass player from Obituary asked his cousin who should open the tour having been out of the game for a while and the guy said Dead To Fall.. Random… And totally awesome. For two tours us youngsters were pulled into the Obituary time machine, “Frozen in Time” and shared some of the biggest clubs in the United States with one of the most experienced bands in the game! I was beyond inspired and watched both Donald and Mick Harris from Napalm Death nearly every night from the side of the stage, soaking up every bit I could. It was on this tour that I began learning how to network professionally within the entertainment industry and I owe Mr. Tardy a huge thank you for connecting me with Paul Cellucci and the Sabian team. Best to you and keep rocking Donald!! Donald ‘DT’ Tardy (born January 28, 1970) is the drummer of death metal band Obituary and the brother of John Tardy, who is the lead singer of the band. Besides Obituary, they have a band called Tardy Brothers, where, as primary songwriter and engineer, Donald also plays guitar and bass, as well as drums. 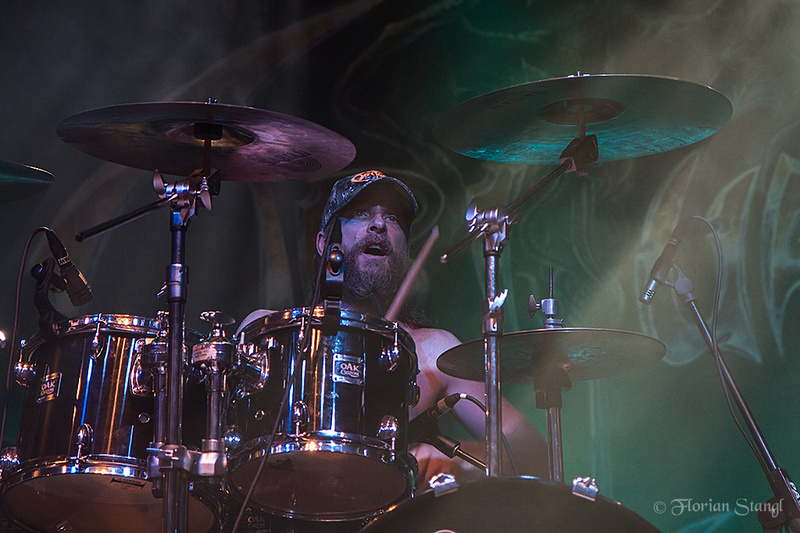 Donald also played drums for Andrew W.K on the album I Get Wet and was Andrew W.K.’s first touring drummer who also assisted with assembling the original Andrew W.K. lineup. Donald (along with the entire Obituary band) has a passion for helping cats through their Cat sanctuary organization Metal Meowlisha. When the band is on tour, their wives work hard to keep the organization running.